A SOX-compliant Telecom Decision Matrix™ that uses input from internal stakeholders to establish an audit trail and justification for vendor contract awards. 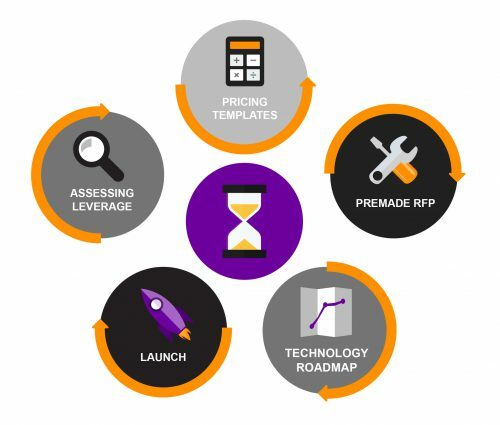 Rapid Deploy™ RFP capabilities for clients looking to avoid the standard-length RFP process. The platform also includes fully managed RFP option and license models. Most importantly, Telibid™ comes with an ROI guarantee, meaning users can view their investment returns without guesswork. Strategic sourcing is a key component to proper telecom lifecycle management. Any “Best Practices” process in telecom management begins with a properly structured telecom RFP. Telecom service provider contracts are notoriously one-sided with very punitive terms and conditions and with complex regulatory references. Much of Teligistics’ contract negotiations involve risk mitigation because of the punitive nature of these agreements. Unless you negotiate these agreements regularly, the carrier negotiation team will have a tremendously leveraged advantage. 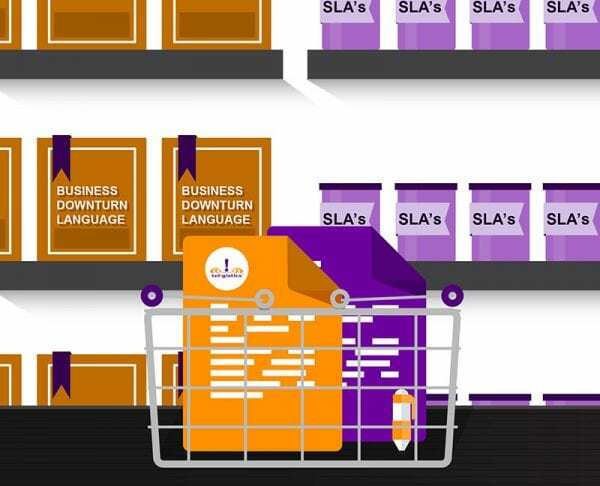 Without specialized expertise, knowledge resources and access to market-data most organizations are doomed to an inferior agreement and sub-par terms, conditions & pricing. Unfortunately a procurement department and/or IT department which negotiate these deals annually or every couple of years do not have this real-time market data and experience in garnering “World Class” agreements. 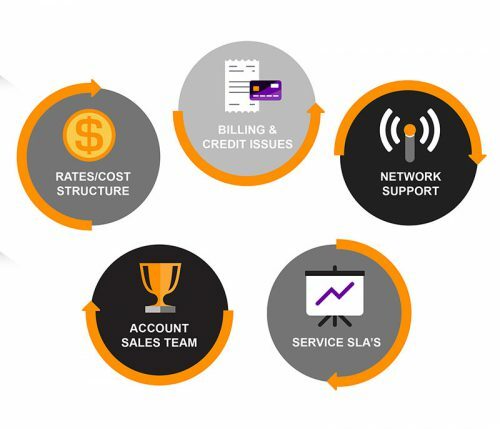 Creating, implementing and managing telecom RFP’s (request for pricing) is a core-competency at Teligistics and is the original service category offered when Teligistics was founded. To date Teligistics has procured over $8 Billion in telecom contracts for hundreds of clients since 1997. 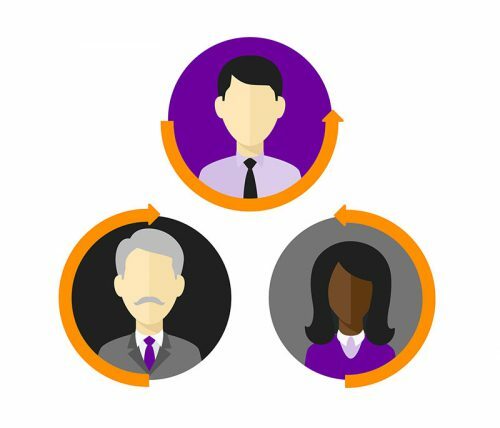 Few organizations have the expertise, carrier relationships, market data and negotiation skills possessed by Teligistics expert negotiation staff. This expertise has been published in articles in various trade journals and evidenced with the engagements by Fortune 500® clients throughout Teligistics’ history. This feature allows clients to weight service-level contract criteria and secure responses from telecom providers for RFP or bid proposals. Because of the Sarbanes-Oxley Act, there are many publicly traded enterprises in need of a logical and auditable process for appraising service providers and RFP responses and examining cost structures before awarding a multimillion dollar telecom contracts. Our Telecom Decision Matrix™ facilitates such a process. Sometimes, enterprises must quickly formulate, extend or evaluate telecom RFP responses when nearing the end of a contract term or soon after one has expired. Our Rapid Deploy™ feature streamlines this expedited process and enables organizations to obtain favorable telecom contracts even when time is short. With Rapid Deploy™, companies unable to perform deep data mining can launch their RFP in a matter of days. Telecom sourcing and negotiation has been our core competency since we entered the business decades ago. In 2005, our drive to innovate in this arena paid off when the Patent and Trademark Office awarded Teligistics a patent for its proprietary, net-net method for analyzing telecom carrier rate plans. In the years since, many organizations, including a number of Fortune 500 enterprises, have looked to us for world-class contract terms and rates. Teligistics also assists clients during contract negotiations. Our principals have successfully negotiated billions of dollars in telecom contracts over the years and will gladly lend a hand to all clients. In fact, some have served as expert witnesses in high-profile court cases involving telecom contracts. Our solutions come backed by decades of on-the-ground experience in the telecom industry. Clients that invest in Telibid™ don’t simply receive platform credentials – they get access to a wealth of essential industry knowledge. Interested in streamlining the RFP process and saving money on your telecom contracts? Contact us for more information on Telibid™ or to set up a free, no-obligation demo.